Our aim is to offer each child a wide practical experience of Performing Arts. This is achieved with a broad classroom curriculum and an ambitious programme of music, drama and dance. We promote creativity by making it as interesting and exciting as possible and by incorporating it into our extremely rich arts curriculum. The overall aim of the music programme at Edgeborough is to encourage and promote the children’s enjoyment of music making in a wide variety of contexts. 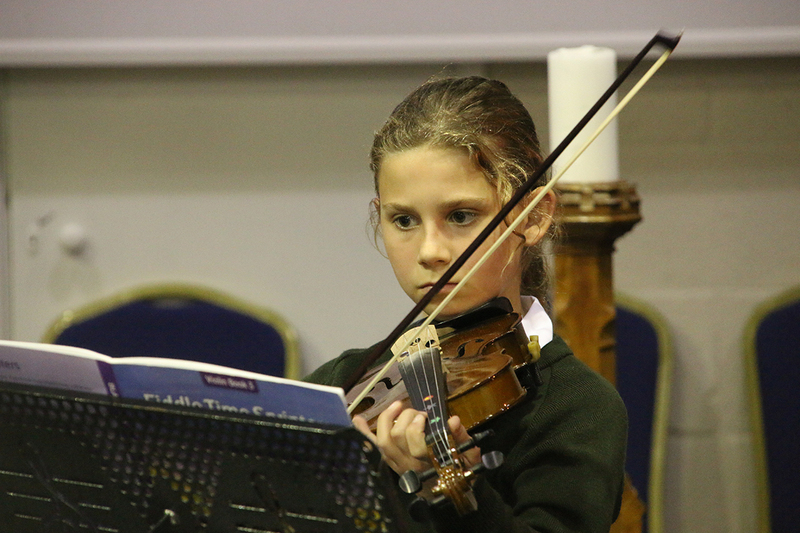 Music at Edgeborough is taught as a dynamic, evolving and practical subject, geared to all abilities and enthusiasms. Pupils from Years 2-8 have at least an hour of curriculum music with a specialist per week. Many pupils (currently around 80%) choose to take individual instrumental or singing lessons. Performance opportunities are wide and frequent, both in school and in the wider community. Performing and being involved in Music is very much part of the fabric of the school. Whilst the Music Department has a ‘music for all’ philosophy, it also has a very strong track record of pupils awarded scholarships at Senior Schools. In the past few years, Music Scholarships have been awarded at Cranleigh, Charterhouse, Hurst Lodge, Lord Wandsworth College, Priors Field and Wellington College. Our busy and exciting drama department ensures that every child in the school has the opportunity to perform in front of a live audience throughout the academic year. The drama curriculum at Edgeborough aims to allow children the opportunity to grow in confidence and independence as they explore and develop their own theatrical skills. Pupils explore a vast range of texts, from fairy tales to Shakespearean plays to musicals. We strive to foster a love of drama that can enrich their learning even outside of the studio, both in the classroom and within the wider community. We are thrilled to be able to enjoy one school production each term. 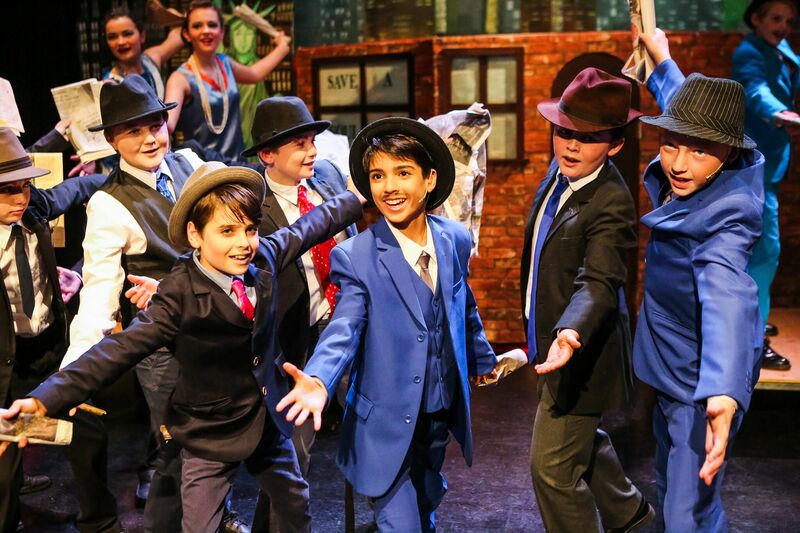 Year 7 and 8 children take part in a Senior Production in the Christmas Term; Year 4 and 5 pupils perform in a Junior Production in the Easter Term; and the Year 3s step into the limelight in the Summer Term. In addition, the final term of the year hosts a Year 6 Drama Showcase, as well as our highly anticipated annual Arts Festival – a joyful celebration of the arts at Edgeborough, offering delights in drama, dance music, art and design technology. Alongside curriculum drama, pupils can take part in activities and can attend private or paired lessons with specialist teachers from the London Academy of Music and Dramatic Art (LAMDA). Many of our children enjoy the range of examined syllabi that LAMDA offer. We are pleased to see a number of our pupils apply for drama scholarships to future schools, where these children are then supported in their application pieces, ensuring they feel well prepared and confident in their auditions. It is another exciting year for dance at Edgeborough. The children are participating in lessons such as RAD Ballet, ISTD Modern, ISTD Tap, Street Dance and Musical Production. All of the children from Nursery up to Year 7 are working hard and achieving excellent results. Last year, numerous children from Lower and Upper Prep were entered for Modern, Tap and Ballet examinations of which all children received a Merit or a Distinction. A big congratulations to those children in Pre-prep who took their first dance exam and also achieved great results. Firstly, the Arts Festival, of which dance is always a highlight. Year 6 performed a Modern dance ‘Mad House’, Years 4-6 delighted us with a Ballet piece ‘I Giorni’, Year 3 performed a Modern routine ‘Mr Pinstripe’ and delighted us with a fabulous performance from our Musical Production girls performing ‘Our Favourite Son’. The children enjoyed every minute of rehearsing for this special evening and the performances from the children exemplified the excellent standard of dance here at Edgeborough. The numbers of children involved with dance at Edgeborough have grown substantially over the past few years. Last year Miss Kimberley had the delight in putting together Edgeborough’s first dance show ‘All About The Stage.’ This involved children who participated in dance or musical production from Year 1 upwards. The show was a great success and the costumes, routines and talent all came together to produce something very special. The children performed th show twice during the same day and It was a delight to have such a full audience on both occasions. If your child is interested in dance, please contact the school office for more details.